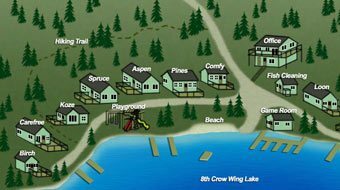 One of eleven lakes near Park Rapids on the famed Crow Wing Chain of Lakes, 8th Crow Wing is know for fishing northern pike, walleye, bass, crappie and sunfish. 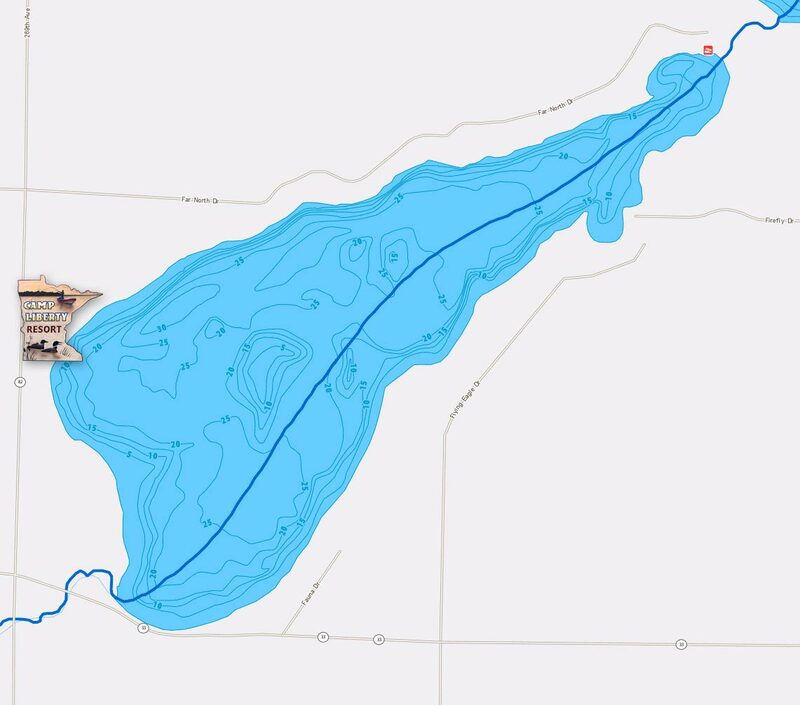 The 492 acre lake is approximately 2 ½ miles long and one mile wide. 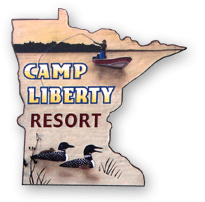 From Camp Liberty Resort the fisherman can also enjoy fishing 9th and 10th Crow Wing Lakes, accessible by boat through short and scenic passages. 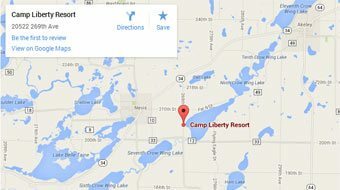 All three lakes are noted for their variety of fishing. 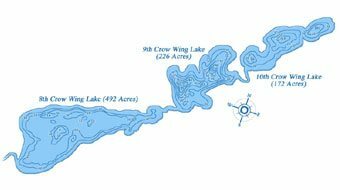 For those who enjoy canoeing, the Crow Wing Chain of Lakes and the Crow Wing River offer more than 20 miles of Minnesota scenic beauty.